When I was younger, setting goals to me meant focusing on my career. I believed at the time that if I set good career goals than all my life goals would eventuate. How wrong was I? I found I kept putting off my life goals in order to meet career goals. In doing so, I was getting into a rut, and not as happy as when I put my life goals first. So, I learnt that it is best to set your own life goals before setting career or business goals. For life gaols create happiness and are generally aligned with your core values. Being there for my children as they grew up was what I wanted. This is one of my life goal examples. Yet, when my daughter was very young I was driving back from work very late one evening contemplating a career opportunity. The roads were very wet and the rain torrential, even the windscreen wipers could not keep up. On slowing down at a set of traffic lights, I succeeded in spinning my car around. All four wheels stayed on the ground, but it was a scary moment as my car spun while I tried to gain back control. Fortunately, I hit no other cars, property or people. The incident woke me up, as this day I decided to choose to work closer to home and learn skills that would provide opportunities to work around my children as they grew up. The day I choose to put life goals first once again. This post may contain affiliate links. We also may receive a small commision from the companies or products mentioned in this post at no additional cost to you. Please read the disclaimer for more information. What is the meaning of life goals? A life goal is an idea of a future personal outcome, that a person plans and commits to achieve. Whereas, a business goal is a business outcome that a person or a group of people for the business plan to and commit to achieving. Having a personal outcome in life including creating a dream life for yourself takes some planning. Actually, it requires that you set an intention for your life and see yourself in your future. Visualization and affirmations can also help you with reaching your goals. However, let’s start with defining a life goal. 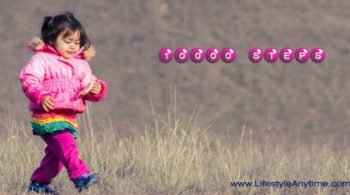 Why plan life goals first? It is best to plan your life goals before your business goals. The reason for this is if you plan your business goals first, you may be unhappy as it does not align with your personal goals and values. Your life goals are the goals you work on to become the person you would like to become. Consequently, your life goal takes time to achieve. Therefore, you may have more than one goal, an ultimate goal and mini goals. One goal is not enough. As your ultimate goal is going to take some time to get, as a life goal does. Your smaller goals are important, they become your mini motivators, so you don’t get discouraged along the way. One of the reasons to set your life goal first is to find what you would like to do. So many people work in jobs they don’t like. In fact, many people invest a lot of time working and doing something they don’t like, thinking it is what they are meant to do. Why go to work miserable each day. Do something you love. “Your work is going to fill a large part of your life and the only way to be truly satisfied is to do what you believe is great work. And the only way to do great work is to love what you do. If you haven’t found it yet, keep looking and don’t settle. As with all matters of the heart you will know when you find it.” Steve Jobs. Discover your personal life goals. It is important to have life goals that mean something to you. For, life goals are personal. Naturally, you may also have family goals, business goals, relationship goals. However, life goals are something you wish to achieve in order to live the life you would like to live. I’ve always been a goal setter. Being a goal setting does not mean I’ve achieved all my goals. In fact, I believe I’ve changed my goals many times testing and searching for the goals that pull at my heartstrings. There have been times I thought I was going in the right direction and then discovered that the direction I was heading didn’t align with my values. For me, it is important to have goals that align with my values in life. 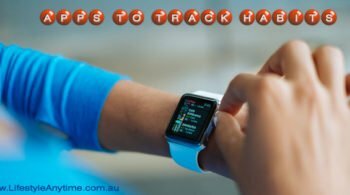 A few years ago I reset and redesigned my life goals as I discovered I was going off track. 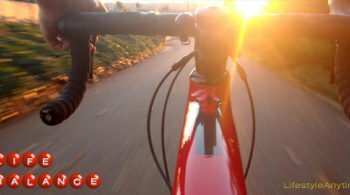 The path I was going down was not aligning with my values, nor was it fulfilling and I was certainly not jumping with joy every morning when I woke up. Hence, I changed my direction by discovering what was important to me. How to discover your personal life goals. Before you start with discovering your personal life goals you need to know your key personal values. These core values are values that mean something to you now. Yet, they may change over time. The reason your values change over time is what motivates you changes over time. What motivated you as a student is different from what motivates you as a mother, which is different to what motivates you as you plan for retirement. As you can see your values will change. One of the best ways to start to discover your core values is to identify ten key values in your life at this current time. Here is a list of 140 core values to help you discover yours. My core value was family, to be there for my children as they grew up. It is still family today to be there for my children and see extended family overseas. Some other core values I have at present are relationships, freedom, balance and growth. With my life goal examples now leaning towards life as an empty nester and planning for retirement, my core values have changed. Not that I plan to retire. For, entrepreneurs are workers who enjoy what they do. It’s part of their life. Change is not a setback. Each time you change direction with your goals, you have learnt something. You learn what you do and do not want at that precise moment. It is impossible to know if you like something without trying it. Naturally, you can feel if something is good or not or if it aligns with your values. But, goals do change as you change and as you get older. Also, many people later in life set goals for retirement or discover their passions which can lead to different life plans or even career plans. When I was younger one of my goals was to run a marathon. I did not achieve it. For a while, I focussed on it and then it became something that I no longer put a priority on. It was not a key goal. Now being older I don’t rule out running 5k or 10k again, however running a marathon would be a big challenge. Oh! My sore knees. Yet, this is still a big challenge to conquer. An ultimate life goal example would be to live a happy and fulfilling life. Although a happy and fulfilling life would mean something different to everyone. What are some examples of life goals? Some life goals are small goals, yet some life goals are referred to as big hairy audacious goals. 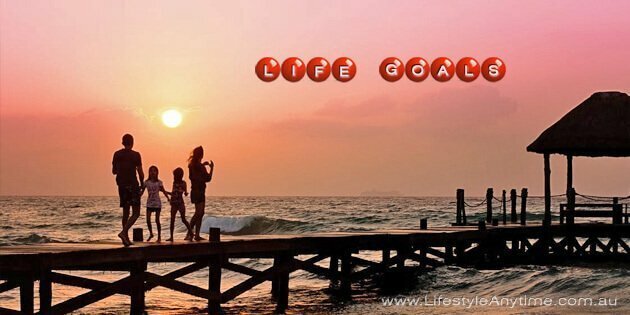 Before looking at the larger goals here are 35 life goal examples. The three types of goals to set in life. There are three types of goals to set in life. A goal may assist with the progress towards a larger goal or be time or topic based. Time goals are either long or short term. An example of a long term life goal would be to run a marathon with a short term goal of the learning to run. Naturally when you learn to run you commence with running shorter distances. Focus goals, there are the big hairy audacious goals. To clarify, it’s the goal that drives decisions. The big goal must have an emotional attachment in order for you to remain focused. Topic goals are goals that are exactly that topic based. Both long and short term goals fall in this category as does personal and business goals. In short, these goals come under specific aspects of life and can be long or short term goals. Aiming to create work life balance involves balancing many areas of life. Thus, having eight topic goals for life balance is not unusual. 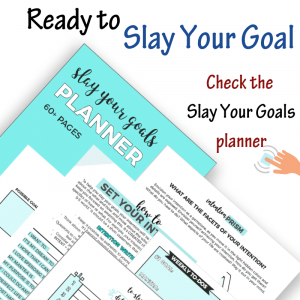 In fact, the slay your goals planner suggests 10 areas of life that could be focussed on. What are big hairy audacious goals? A BHAG also known as a big hairy audacious goal is normally a long term goal, an ultimate life goal. A goal that may take 10 plus years to achieve. It is a goal that will get you out of your comfort zone and certainly test you. In the list of personal goals above, there are some big hairy audacious goals. Everyone is different and what is scary to one person may not be to another. Also, what is audacious to one person may not be to another. An audacious goal though is one you may not achieve. However, it is one that stretches you beyond belief to achieve. As you stride for your big goal, you will achieve many smaller goals along the way. One thing to note is if you know you can achieve the goal it is not big enough. 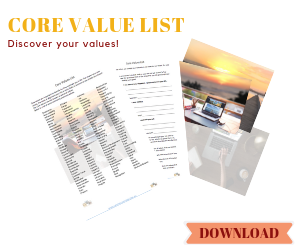 Discover your personal values, download the 140 Core values list. Life goals may look big and out of reach. Yet, every life goal can be broken down into smaller action steps. It’s mastering habits that help with the achievement of goals. The key to remember is a little action goes a long way. Did you know when you share your goals you are more accountable to them? Share one or some of your goals in comments below. 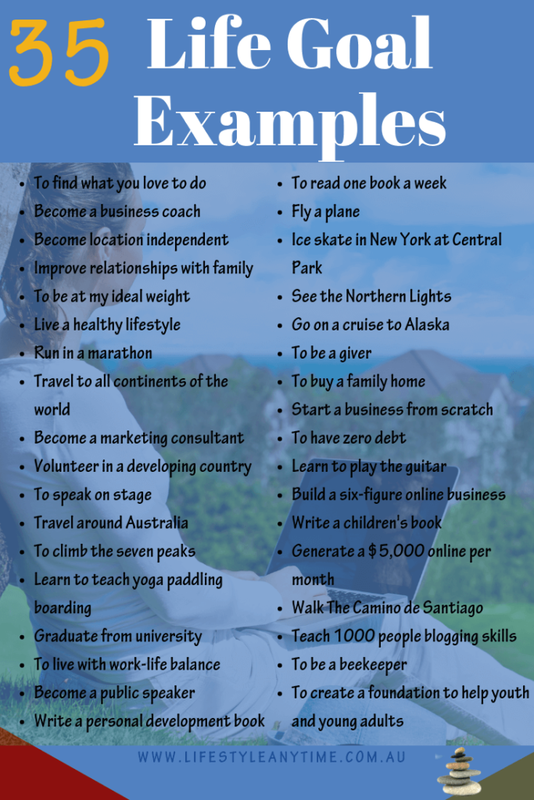 Hopefully, these life goal examples have assisted you. However, if you are still stuck on defining your goals here are 8 tips to help you set and achieve your goals. 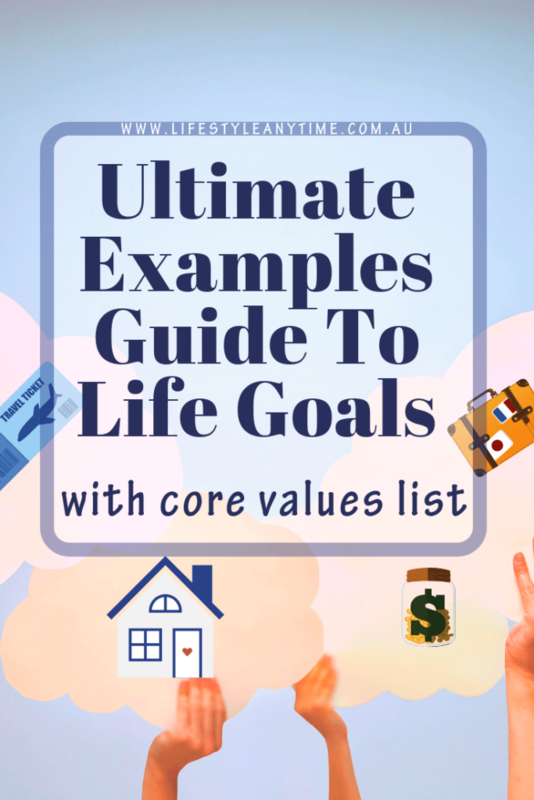 4 replies to "Life Goal Examples: The Ultimate Guide To Life Goals With Core Values List"
I appreciate your values oriented approach because it’s very difficult to be happy with anything when you compromise your values. Thanks, Lydia, it sure is difficult to be happy when values are compromised just as it is difficult to stay focused on your values when life is out of balance. Great to read that questions of life have been answered. I also read you have walked ‘Pilgrims way’ – Camino de Santiago, a walk known for self-reflection. This is one walk I intend to do. We seem to share the same values – my family and God are the top priority in my life. This has helped me to set the right goals in every other aspect of my life including my career. That’s why I totally love this post particular the area you wrote about defining your life goals before your career goals. This is even more important to us as women who want to get it right on every side. No matter how important your business ideas are, if your life goals are defective, you’ll unavoidably have issues in life to tackle.